We share the same fate with the EU, but we are still not at the table, said Macedonian Foreign Minister Nikola Dimitrov at the third quadrilateral ministerial meeting between Macedonia, Greece, Albania and Bulgaria, which took place on Friday in Thessaloniki, reports Macedonian Information Agency MIA. Dimitrov thanked Bulgarian Foreign Minister Ekaterina Zaharieva and Bulgarian Prime Minister Boyko Borisov for being the country’s chairman of the Union, succeeding in bringing the region back to the EU’s political agenda and making 2018 a year of opportunity. “At the meeting we have two candidate countries and two member states. I believe that we can not become a truly happy place if the region does not move in the same direction”, said Dimitrov, adding that the current developments are a positive moment for the entire region. Greek Foreign Minister Nikos Kotzias said at the opening of the meeting that global challenges have boosted integration in the SEE region. “Changes that take place in the world lead to the conclusion that we must intensify and deepen the cooperation between the SEE countries,” Kotzias said. He noted that further deepening and cooperation is especially necessary due to two goals, “FYROM” and Albania to become part of the EU and to provide preparation for their cooperation within the Union. The topics at the meeting were cross-border cooperation, the European perspective of the Western Balkans, the impact of developments in the Middle East on the region, and the opportunities for developing the road infrastructure. Cooperation between the police, the fight against cross-border and organized crime and dealing with migration was also discussed. Macedonian Foreign Minister Nikola Dimitrov also had a ministerial meeting with his Greek counterpart Nikos Kotzias. 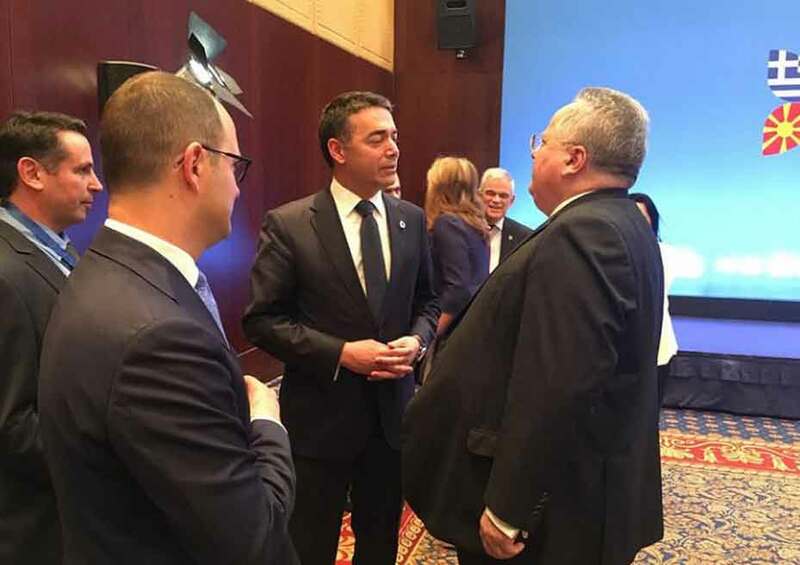 Nikos Kotzias said at the press conference after the ministerial meeting that there are still 1-2 central issues that need to be resolved, and that with his Macedonian counterpart Nikola Dimitrov he discussed the alternatives and variants of the solution, but did not come to a decision, MIA reports. “I think that today we came up with many alternatives, we did not come to a decision, we also need to inform our Prime Ministers. If we decide on these alternatives, then conditions for meetings at a higher level will be organized, but of course, the foreign ministers do not make the decisions, but their bosses, who, when we take the steps that I hope to make, will make contact and agree on the meetings themselves. But I think we need to fight to the end to find a solution”, said Kotzias. Dimitrov and Kotzias should again meet again next week at an international conference which will be held in Sunni, near Athens.